Hangs multiple sized rugs on one unit. 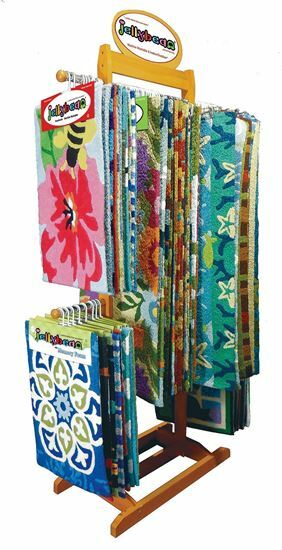 The Mutli-Size Hanging Display makes the perfect "Silent Salesman" allowing the retailer to display Jellybean Accent Rugs and the assorted sizes from the Home and Garden Collection. Footprint: 86" X 48" 20"
Comes with full color Jellybean OR Jellybean Home & Garden signage, and is FREE with qualifying order of $1400!